← 10 Fun Rainy Day Activities! Respect – for their family, environment, and for themselves. Discipline and Responsibility – It is their important job and they need to remember to do it each day. Pride – feeling proud of how great they have made the table look and also that they have helped their family. 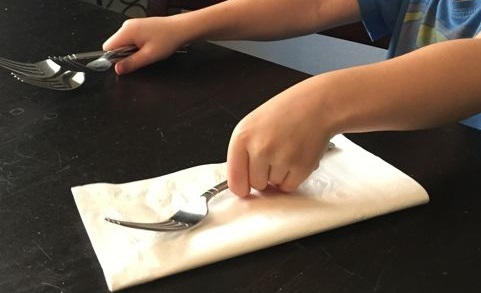 Maths – counting how many people will be having dinner, then counting the same amount of chairs, plates, glasses, knives, forks, spoons, napkins, and so on. A feeling of Belonging – being part of a family and an environment. Independence – learning valuable skills so that they can do them for themselves. Confidence – mastering tasks and feeling like they have achieved something. Self-esteem – they have been entrusted to do this important job for the family and in turn they feel good when they look at what they have accomplished. 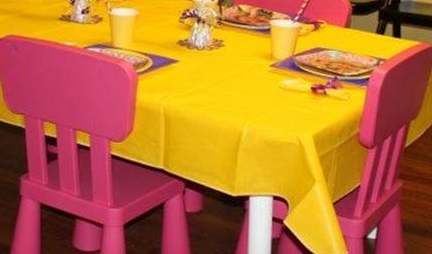 Put plates, cups, cutlery, napkins etc somewhere that is easily accessible for children. If children are very young, get them to put out forks and napkins and leave the breakable or sharp items for an adult or older child to do. Make this their job so that there is an expectation that they do it each night. Of course this can be flexible if they are busy doing homework one night etc, but try to get them to stick to it as much as possible. This is just a start to helping in the home, but it has many benefits, so give it a go!